GrownUps accepts no responsibility for decisions made by Members or any other persons as a result of using or relying on any information on the GrownUps website. GrownUps does not give any health advice or make any recommendation of any product or service. Did you know there is a medical term for the body aches that occur in the days following an intense workout? DOMS, or delayed onset muscle soreness, is most often the result of muscle fibres repairing themselves after exercise. Swelling is a visible effect of the body’s immune response to injury or infection. When you sprain your ankle, for example, your body may divert fluid and white blood cells to the area to start the tissue repair process. This swelling feels painful because it compresses the nerves in that area and releases special chemicals. Pain accompanied by swelling is most often an indicator of abnormal tissue damage that occurred during your workout. DOMS is often widespread, that is, it’ll affect a region or group of muscles you used during a workout, not one specific spot. If you’re not just experiencing arm soreness, for example, but a pain localized to your shoulder blade specifically, you might be dealing with a minor fitness injury. 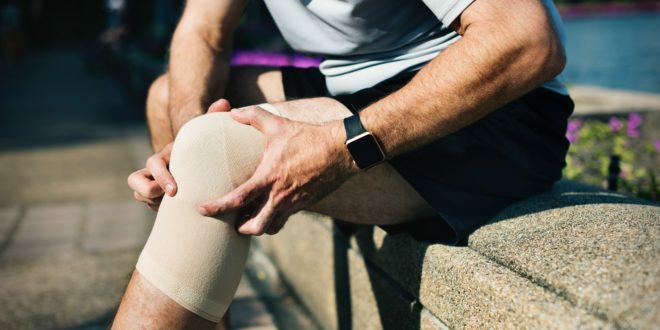 The same goes for your legs – if you can pinpoint a pain presenting in a specific location in your hips, groin, or legs, there may be some overuse damage that goes beyond general muscle soreness. See this guide for more information. A sudden jolt of pain that snaps you out of your workout or whatever you may be doing in the days after exercise is rarely “normal.” If it simply happens once, chances are you don’t need to worry about it. If it happens repeatedly, however, it’s worth checking with your doctor. 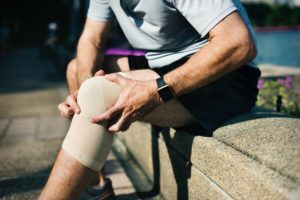 Sharp, stabbing pain can show up as an effect of nerve or tendon impingement, bone rubbing on bone, or a fragment of bone or cartilage that has broken loose in a joint. DOMS typically peaks about 24 to 48 hours following exercise. If your muscle soreness doesn’t subside within about 5 to 7 days, you may be dealing with extreme muscle soreness or worse, an injury. An occasional bout of extreme soreness may happen after you engage muscles you don’t normally use in intense physical activity. You should never feel like you have chronic muscle soreness from exercise, however, so if the aches and pains are sticking with you, talk to your doctor. Following the old adage ‘beauty is pain’ simply isn’t advisable when it comes to getting regular exercise. Any pain, aching, soreness, or discomfort that gets worse as you exercise could be your body telling you that something is wrong. Joint strain, a pulled muscle, swollen tendons . . . minor fitness injuries like these can be exacerbated by continued exercise even you are doing everything right. Popping, snapping, or clicking sounds are often the reverberations of acute injuries like severe strains and sprains (a ligament or tendon snapping) or joints catching during movement. If you snap, crackle, and pop regularly without discomfort, there may be no cause for concern. If you don’t, however, and you hear a pop in your body that is followed by any level of pain, stop what you are doing and seek a medical evaluation quickly to prevent further damage. Stay hydrated – dehydration has been shown to make DOMS worse so don’t forget to hydrate frequently and take breaks during exercise when you are experiencing muscle soreness to limit fluid loss through sweat. Utilize hot and cold therapy – the analgesic effects of hot and cold therapy can’t be denied when it comes to soothing sore muscles. Just remember to not apply either for more than 15 or 20 minutes at a time and alternate temperatures for the greatest relief. Keep moving – possibly the most important recommendation for muscle soreness is actually to keep moving. Light exercise and stretching help engage your muscles to promote continued tissue repair as well as keep them strong and flexible. Eat for your muscles – make sure you are consuming the appropriate nutrients following exercise that help foster muscle growth, especially protein and carbohydrates. The Journal of the International Society of Sports Medicine emphasizes that the hours both right before and directly following exercise are the most opportune time to consume key nutrients your body needs for muscle repair. Previous Article Joke: Why don’t you do that? Hot or cold for neck pain? Muscle pain is a fact of life. After a long day in the garden, a game of golf, or a journey by car or plane, you may feel a few aches and pains.